A quartet of Christmas trees decorated with gold stars decorate this evergreen themed stationery. The four trees are topped with red and white Santa hats, and are surrounded by a bright green border. 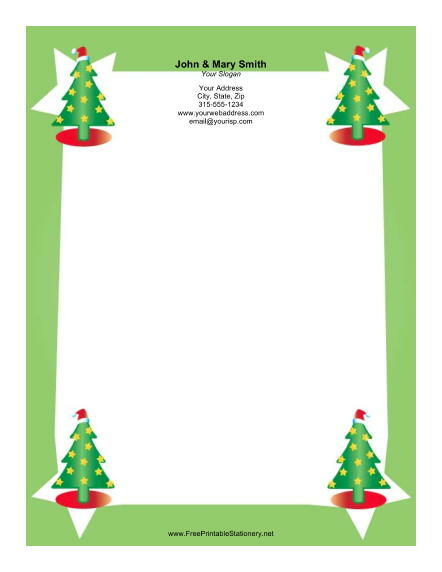 The simple background leaves plenty of space to write a funny Christmas letter or a family newsletter for the year.